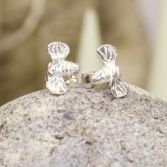 My handcrafted signature Bee is made using traditional silversmithing & casting techniques. 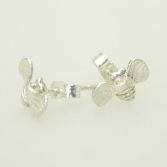 Each Bee is then hand finished and soldered on to the ear wires to make up these cute little Busy Bee studs. 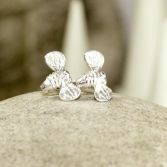 This little Bee is unique to Julie Brandon Jewellery and can be found incorporated into other designs. Your Busy Bee Stud earrings are made of solid sterling silver and offered in two finishes either a bright sterling silver finish or a blue black oxidised finish. 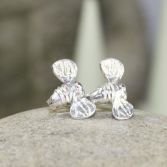 Whether buying for yourself or as a present your Busy Bee studs will be posted to you in one of my signature gift boxes via Royal Mail 1st Class registered delivery (signed for) free of charge to any UK address.